I thought I would add a picnic table for the small people in your family. I decided that nobody makes furniture that is practical and fun at the same time. 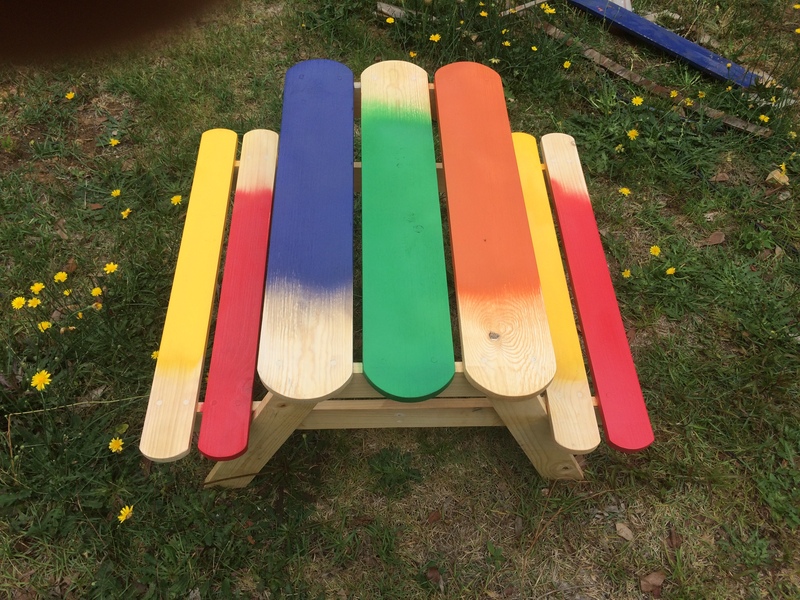 So, I build this little Popsicle Stick picnic table than can be used as a toy, a place for the little ones to eat, or just for them to have fun sitting around. It is only less than three feet square. The actual measurements are: 21 inches tall, 33 inches long at the seats and top, and 33 inches wide from seat to seat. It is made from 3/4 inch boards so it only weighs less than 20 pounds. It is designed to sit inside or on a porch or patio out of the rain. 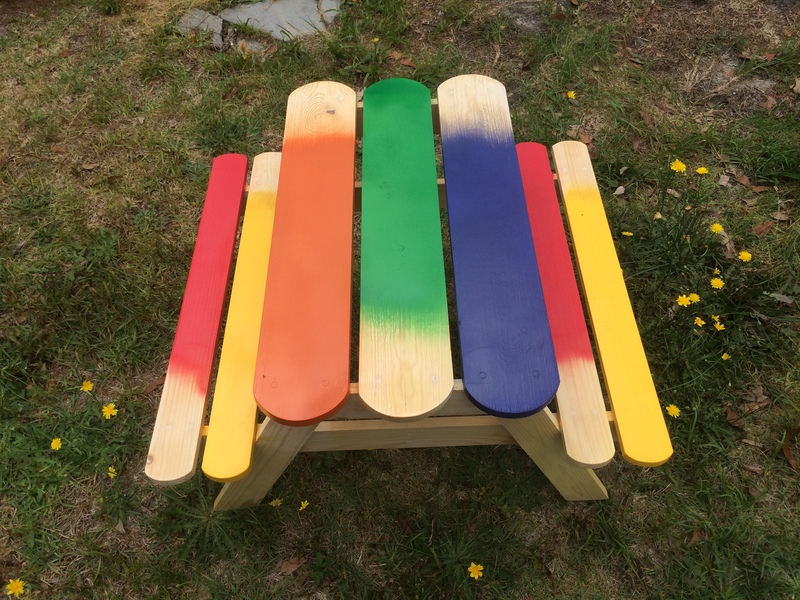 Of course, if you want to coat it with spar urethane so it can be used outdoors, you can do that. All screw holes on the top and the seats are filled and sanded. The boards are all drilled, glued and screwed together for a safe and strong bond.